Karen is facile, engaging, genuine, professional and alive! There are spin doctors, and then there’s the award-winning content strategist, KAREN FELD, with the authentic back story on political personalities and bold-named celebs. This is behind-the-scenes info — what the pols and stars say over cocktails at state dinners or in the gym. She reports the irreverent insider gossip that might be embarrassing, but never vicious. She chronicles history. Karen’s been writing about political strategy and celebrity antics since the Nixon administration. When others stand behind the rope line, she has direct access. That translates to firsthand material you won’t find elsewhere. She hobnobs to gain an insider’s perspective of the private figure behind the public façade. Published hundreds of articles in national magazines and major dailies including: Parade, Time, People, Money, Vogue, George, USA Weekend, Delta Sky, American Way, The Wash. Times, Wash. Examiner, Wash. Post, Baltimore Sun, LA Times, Chicago Tribune, San Jose Mercury, Orlando Sentinel, Boston Globe, St. Petersburg Times, Campaigns and Elections, Arrive, American Politics, Roll Call, The Hill, Austin American Statesman, Washingtonian, Washington Flyer, Dallas Morning News, Detroit News, Detroit Free Press, Philadelphia Inquirer, Diversion, Endless Vacation, The Mail, Minneapolis Star, Newsday, Toronto Sun, Political Leaders Today, The Georgetowner, South Bend Tribune, Washington Jewish Week, Politicalmavens.com, JewishWorldReview.com, and more. National Federation of Press Women awards every year beginning 1982 through 2015 for Excellence in Journalism--print, broadcast and public speaking. Society of Professional Journalism Awards, Health Journalism Award, National Assoc of Travel Journalists award, American Society of Journalists and Authors award. 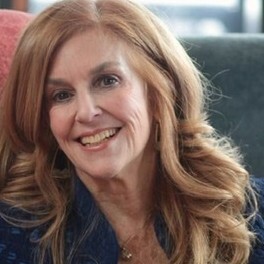 Find out more about Karen feld at http://WWW.KarenFeld.com.